I recently had a birthday and so did my middle daughter, so I thought it was a good opportunity for some one-on-one time together in the city for some girly fun with Miss Six. 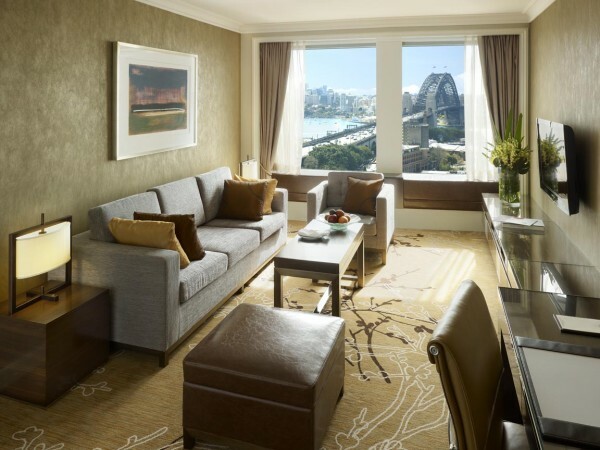 We decided on the Shangri-La Sydney and had a fantastic weekend. 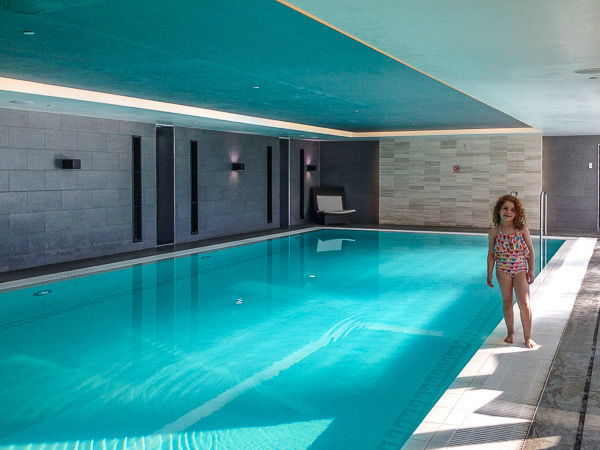 The hotel is very child-friendly, from the child-sized bathrobes and slippers, amenities in the room (chocolate lollipops and soft toys) to the indoor pool and spa. 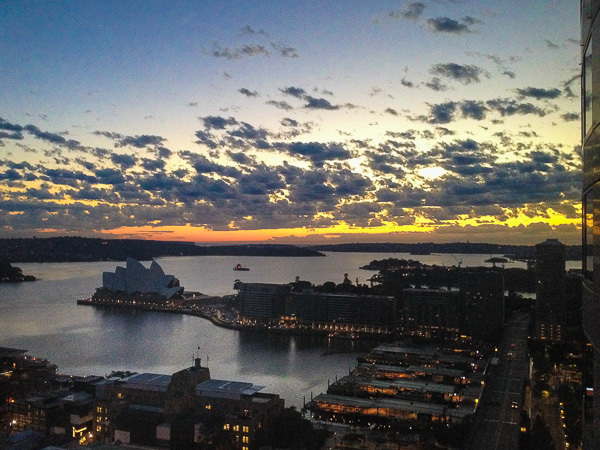 We had a spectacular room overlooking all of Sydney Harbour and it was gorgeous weather so we spent a lot of time sitting at the window ledge watching the harbour and seeing the sunrise at 5:15am (with Miss Six very excited to be sharing a king sized bed with me!) The bathroom had a separate vanity with stool which made her feel like royalty and she set her brush, comb and accessories on there and spent a lot of time doing her hair at the vanity, pretending to be a princess. I planned the weekend with thoughts of a lot of relaxing in a hotel room and chatting, but my daughter was rather excited to have time with me away from her sisters, so she made sure we were very busy. We played hide and seek in the room a lot, had a dance party before bed, a total of three bubble baths, two swims in the pool, played checkers in the club lounge and watched a couple of movies. 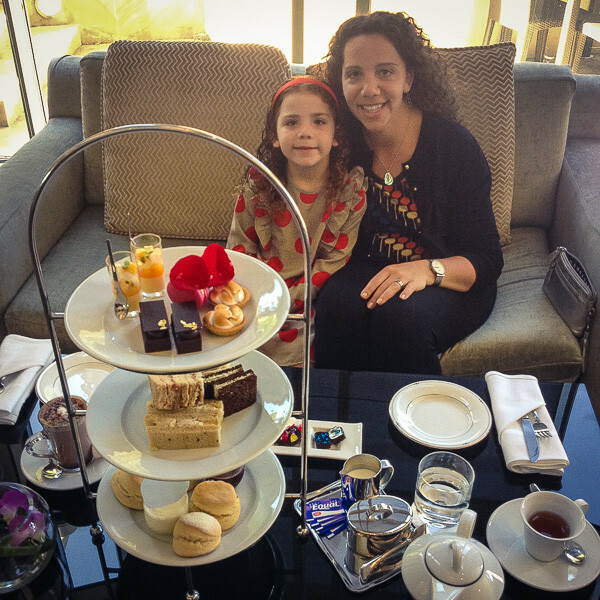 We also managed to go to High Tea in the lobby lounge which we both thoroughly enjoyed, from the mini sandwiches to the tiny cakes and warm scones with jam and cream. She was in heaven and we ate way too much cake and drunk too much hot chocolate but it was worth it just for the look on her face when she realised that three-tiered tray was for us alone. Breakfast in the restaurant was also an experience. There was so much to choose from, including a made-to-order egg station, noodles and spring rolls, hash browns, sausages and too many pastries to remember, including sugary jam doughnuts (every child’s dream breakfast!). Needless to say, we did not eat lunch at all, but decided on a post-breakfast swim. The hotel also has a day spa, health club and sauna which I did not visit but a few guests in the lift coming from the Day Spa raved about their treatments. 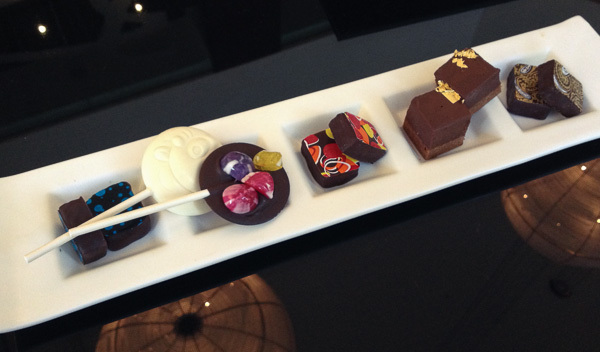 We had Horizon Club privileges which we enjoyed, as this included private check in and check out, buffet breakfast, afternoon tea and evening cocktails and canapés. The views from up there were spectacular as you can see in the photos below. 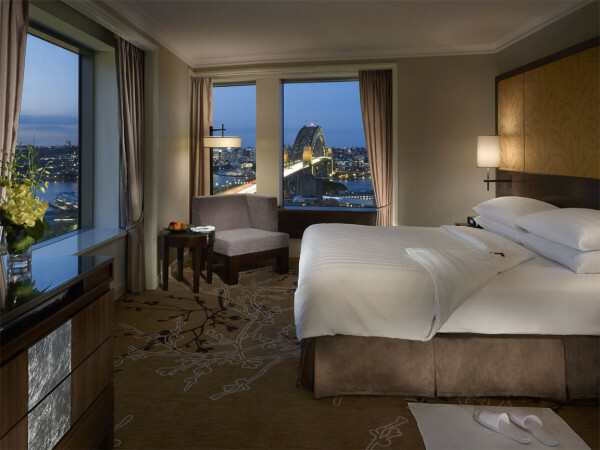 The Shangri-La Sydney is perfectly located in the heart of The Rocks. 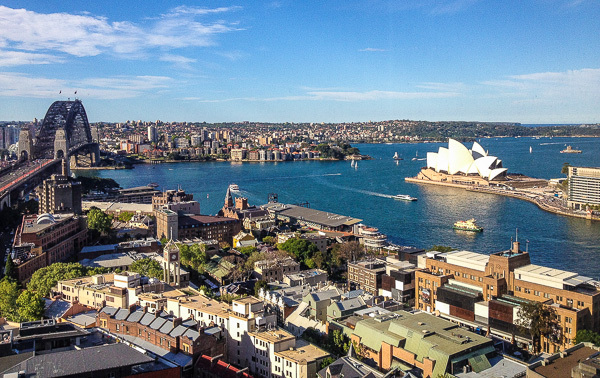 We wandered through the Rocks Markets on Sunday, down to Circular Quay and walked around the Opera House. We also went into the shopping district in Pitt Street mall which is an easy five-minute walk from the hotel. 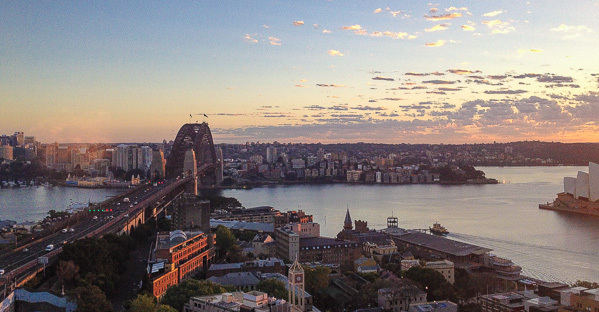 This is the perfect location for a weekend getaway or a longer stay to Sydney.